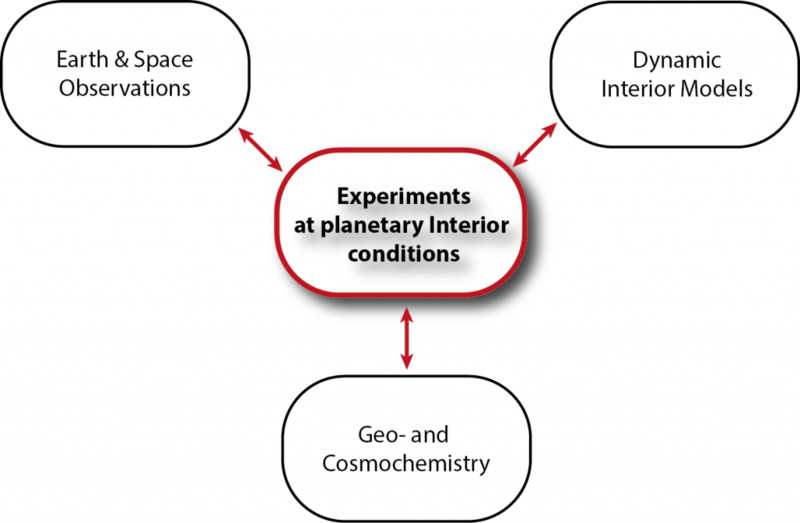 Properties and processes occuring in the deep interiors of planets govern their evolution over time. We try to understand the properties of materials at the extreme pressure and temperature conditions typcial for the deep interior of planets. These data are the basis to interpret planetary observations (such as seismic data or moment of intertia). Our measurements also serve as input parameters for large-scale dynamic models that simulate the evolution of planets and planetary interiors. These models ultimately allow us to extrapolate observations in time. We are also closely interacting with geo- and cosmochemistry in order to define materials of interest and chemical variabilities.